Do chickens need a rooster around to lay eggs? Because eggs are a part of any bird’s reproductive cycle, it’s a legitimate question to wonder whether or not hens will still lay eggs without a rooster around. The answer? 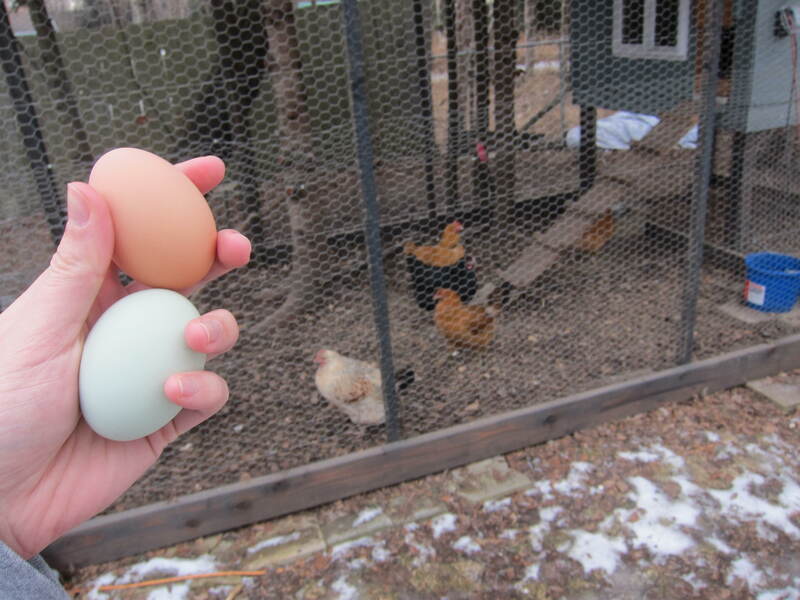 Nope, you don’t need a rooster to get eggs from your hens. And being able to get eggs from your backyard flock without needing a rooster is a very good thing, considering how loud & aggressive some roosters are. Many cities that allow backyard chicken keeping do not allow roosters (that’s what the Anchorage Municipality says, too – no roosters allowed in city limits). So fear not, future chicken owners! No, you do not need a rooster to get eggs from your hens. They will lay eggs with or without a male chicken around. If you are rooster-less, that won’t hurt your egg production. The only role a rooster plays in the egg cycle is whether or not the eggs will be fertilized so they could hatch into chicks – he doesn’t affect the egg quantity or size. These chickens don’t need no man. Great article, we’ve had hens without roosters laying for years, once they start, thank you for sharing!